Blueberries have had the name “superfood” for a while, but a study has shown that they may also have anti-hypertensive actions too. As well as tasting great, blueberries contain many potent antioxidants that help to put them amongst the fruit-and-veg big guns; much more than just a tasty berry! This study from the the Journal of the Academy of Nutrition and Dietetics looked at women with a high risk for high blood pressure; post-menopausal women have an increased incidence of hypertension so this is often a time when medical intervention is needed. The study looked at using blueberries in women who displayed symptoms of pre-hypertension or stage 1 high blood pressure. They were then offered either 22g of freeze-dried blueberry powder or 22g of a placebo powder. 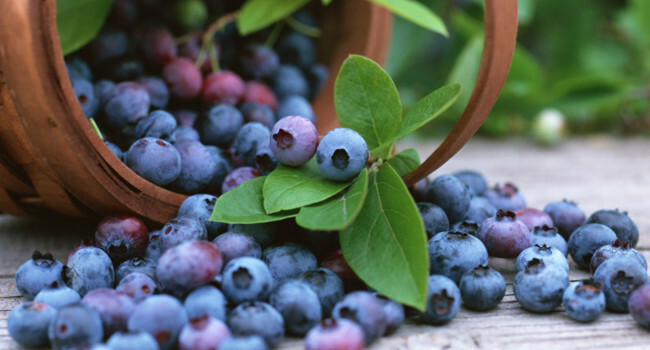 The results clearly showed that after 8 weeks both systolic and diastolic blood pressure was lower than at baseline for the group receiving the blueberries, whereas there were no changes at all in the placebo group. It was thought that changes to the levels of nitric oxide were responsible as nitric oxide had significantly increased in the blueberry group and not changed at all in the placebo group. This may mean that blueberries could prove to be a desirable intervention for anyone who is at risk for increased blood pressure, although further studies are needed to support this.